With the largest international airport on the island, Chitose serves for most visitors as a way in or a way out, rather than a destination in itself. To find ratings, reviews, other places to visit, and more tourist information, read Chitose route tool . Bangkok, Thailand to Chitose is an approximately 14-hour flight. You can also drive. The time zone changes from Indochina Time to Japan Standard Time, which is usually a 2 hour difference. In February, Chitose is cooler than Bangkok - with highs of 0°C and lows of -12°C. On the 12th (Tue), you're off toSapporo. 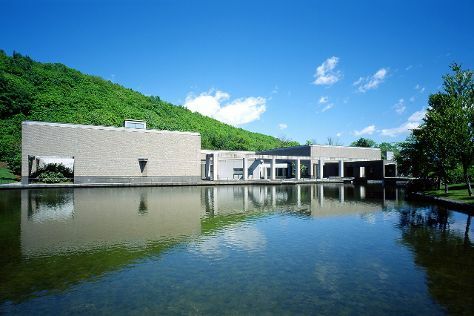 On the 13th (Wed), explore the world behind art at Sapporo Art Museum. To see reviews, photos, and other tourist information, read our Sapporo trip itinerary planning app . Sapporo is very close to Chitose. Traveling from Chitose in February, you can expect nighttime temperatures to be a bit warmer in Sapporo, with lows of -5°C. Wrap up your sightseeing by early afternoon on the 14th (Thu) to allow enough time to drive to Furano. Situated in the center of the island, Furano has become known for its idyllic rural landscape, and the drastic changes it experiences as seasons shift. Your day-by-day itinerary now includes Ningle Terrace. Kick off your visit on the 14th (Thu): do a tasting at Furano Budogaoka Park, stroll through Torinuma Park, look for gifts at Anpanman Shop Furano, then take in panoramic vistas at Rokugo Viewing Platform, then examine the collection at Furabi, and finally make a trip to Ningle Terrace. To plan Furano vacation without wasting time, ask Inspirock to design an itinerary. Drive from Sapporo to Furano in 2 hours. Alternatively, you can take a bus; or take a train. Expect slightly colder evenings in Furano when traveling from Sapporo in February, with lows around -12°C. Finish up your sightseeing early on the 15th (Fri) so you can go by car to Asahikawa. Kick off your visit on the 15th (Fri): take some stellar pictures from Kamuikotan. For maps, photos, more things to do, and other tourist information, you can read our Asahikawa trip builder tool . Traveling by car from Furano to Asahikawa takes an hour. Alternatively, you can take a train; or take a bus. Traveling from Furano in February, Asahikawa is somewhat warmer at night with lows of -7°C. You will have some time to spend on the 15th (Fri) before leaving for Sapporo. To see reviews, maps, more things to do, and other tourist information, go to the Sapporo trip maker app . You can take a train from Asahikawa to Sapporo in 1.5 hours. Other options are to drive; or take a bus. You will have some time to spend on the 16th (Sat) before leaving for Niseko-cho. Ranking as the most popular ski resort in Hokkaido, mountaintop Niseko-cho boasts great slopes and surprisingly vibrant nightlife. Kick off your visit on the 16th (Sat): soak in some Japanese tradition at some of the top local onsens and then stop by Boot Solutions Niseko. To see other places to visit, traveler tips, where to stay, and more tourist information, use the Niseko-cho route planning app . You can drive from Sapporo to Niseko-cho in 2 hours. February in Niseko-cho sees daily highs of 1°C and lows of -4°C at night. Wrap up your sightseeing on the 17th (Sun) early enough to travel to Noboribetsu. Kick off your visit on the 17th (Sun): get great views at Tokkarisho Lookout, take in the spiritual surroundings of Zenkoji Temple, and then contemplate the geological forces at Mt. Usu. Keep things going the next day: take in the spiritual surroundings of Muroran Hachimangu Shrine and then soak in some Japanese tradition at some of the top local onsens. To find more things to do, ratings, where to stay, and tourist information, read our Noboribetsu road trip site . You can drive from Niseko-cho to Noboribetsu in 1.5 hours. Expect a daytime high around 1°C in February, and nighttime lows around -4°C. Wrap up your sightseeing by early afternoon on the 18th (Mon) to allow enough time to drive to Chitose. To plan Chitose vacation without wasting time, ask Inspirock to design an itinerary. Getting from Noboribetsu to Chitose by car takes about an hour. Other options: take a train. Traveling from Noboribetsu in February, you can expect nighttime temperatures to be slightly colder in Chitose, with lows of -12°C. You'll set off for home on the 19th (Tue).